The miniature world seems to be the place to be at the moment! With so many talented artists down-sizing their work, we thought we would share our favourite tiny Instagram accounts. From little paintings to clay creations, everything is so much cuter in mini! A feed filled with tiny paintings of houseplants and circles containing miniature landscapes. Based in San Francisco, @wenchenhong is the master of all things teeny tiny! Raya is a paper artist and set designer based in Barcelona. How she has the patience to create such detailed, yet tiny creations out of paper we shall never know! You can follow her on Instagram @littlerayofsunflower and even check out her studio in a Day In The Life here on the blog. 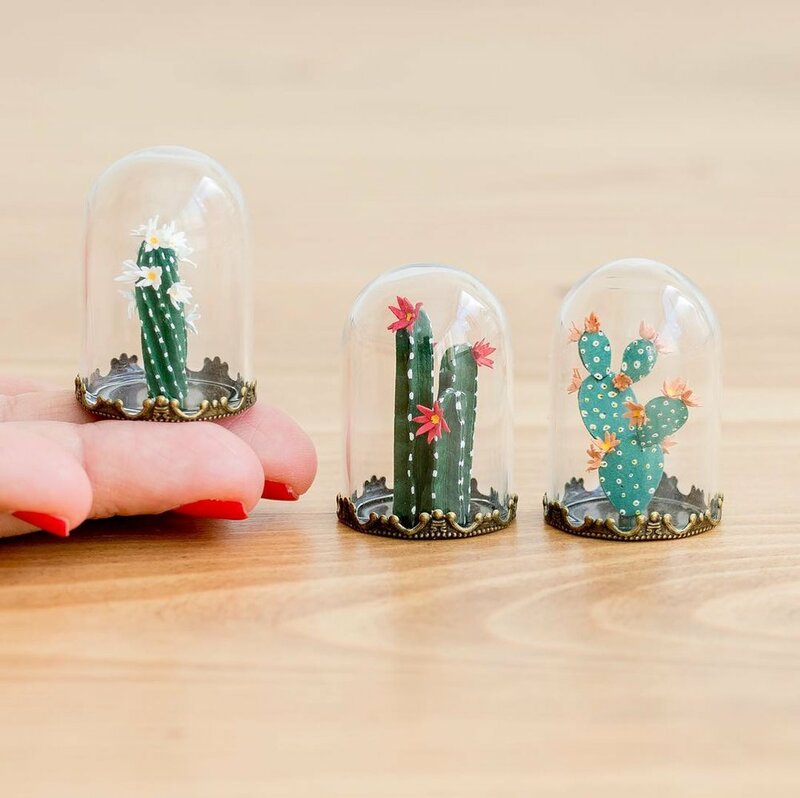 We love ceramics as much as the next guy, but what we love even more are miniature ceramics! Sara at @dodo_toucan creates tiny armies of her clay creations. With tigers, unicorns and little tree spirits, it's an account worth following! @teenytinyterra is all about the tiny world of plants – with little terradomes hosting moss families and miniature people living in giant jungles we simply can’t get enough. We want a whole shelf full of these little creations! We've featured Teeny Tiny Terra in our plant edit too, read more here. Okay but seriously, how do you even paint a pot of Ben & Jerry's THAT small!? Like how?! Julia at @julialasart creates watercolor paintings of animals and objects, even the moon! Give her a follow. We've had paintings, clay and paper, now it's time for miniature embroidery! 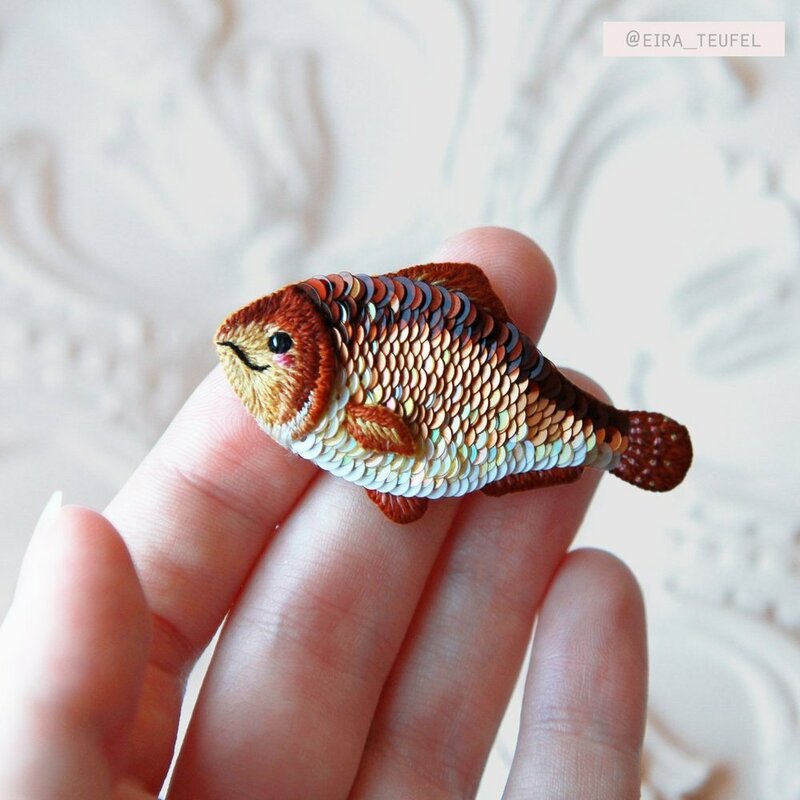 With shimmery fish and cat portraits, Eira uses her sewing skills to create one-of-a-kind necklaces and earrings of her works - @eira_teufel.